Amy Hajung Kim is an active oboist based in North Texas area. Currently, Amy is attending the Southern Methodist University with a full scholarship, working towards her Bachelor of Music in oboe performance under Erin Hannigan and minor in arts management & entrepreneurship. During her recent European residency in 2018, Amy privately studied under Celia Nicklin, oboe professor of the Royal Academy of Music, played for the All Souls Orchestra in London, and had recitals in Prague. 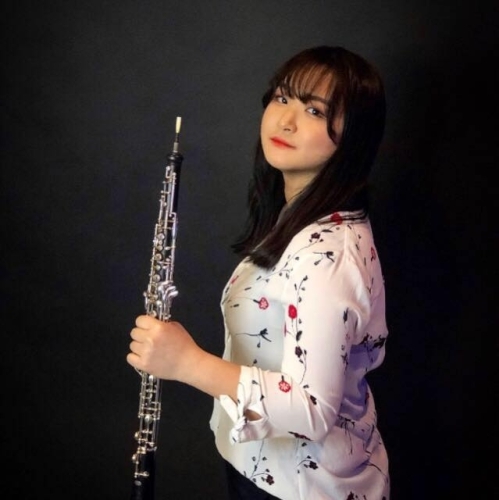 In 2017, Amy graduated from High school of University of North Carolina School of the Arts, received her Diploma in oboe performance under Robin Driscoll and Meredith Hite-Estevez with Semans Arts Fund Grant which enabled to purchase her current oboe. Hails from a musical family, Amy frequently plays with her siblings as a quartet. She worked as a principal oboist/assistant artistic director of the Fayetteville International Youth Symphony, which her father directed from 2011-2016.